“Thinking Outside the Box” has long been a lauded quality in the world of business. We know that new innovations drive new business. We also know that companies that can not break free from traditional thoughts and approaches regularly go the way of the Dodo Bird. All of that said, companies still struggle to find a balance when creating an environment fostering innovation, so they don’t create so free an environment that work fundamentals are not completed. The questions are both how do you find the right balance, and then how do you make that part of your culture. Finding your balance is a matter of defining your industry, your needs, and your strategy. For companies like Coke, new innovation in say product development is not that important. Their industry and their strategies are not innovation driven. On the other hand, for companies like Google, creating the next big thing is the way for them to remain dominant in the marketplace. 1. Make it clear that your company values new ideas. The simple step of directly addressing employees and conveying that you do want to hear new idea’s has a dramatic impact. 2. Set up a system to allow new ideas to be presented. Whatever system you create, whether it be direct emails or suggestion boxes, a venue to convey new ideas is necessary for people to be comfortable. 3. Be receptive even to ideas that you can not accept or implement. Not all ideas can work. There are innumerable reasons why a company can not “move” on a new idea. The way in which you respond to these ideas will determine how comfortable people are at suggesting new ideas in the future. Clearly, if you are outright dismissive or cold you will convey to employees that you are not open to new ideas. If, however, you give thought and a thoughtful response, even to unworkable ideas, you will encourage new innovation. 4. Reward innovation. Even if it is just praise and recognition, the acknowledgment that you value new ideas, even if they are not implemented, will foster more ideas. 5. Provide the time. This is usually the toughest part for companies. We know time is money, and time spent on ideas that go nowhere is often seen purely as waste. If you adjust your thinking to realize that the cost of the ideas that do work is the time that is spent on the ideas that do not, you can move toward giving more time to develop ideas without it being seen as waste. 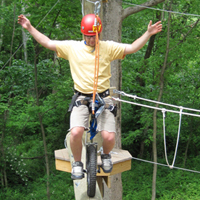 We invite you or your company to join us at Terrapin Adventures. 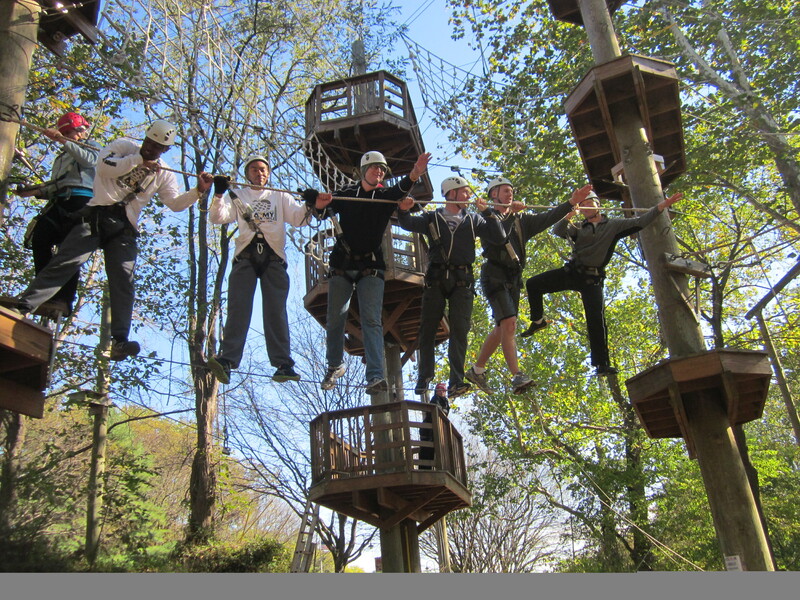 We run teambuilding programs that require both strong cooperation as well as creative thinking. We can help create warm environments that encourage new ideas, promote collaborative thinking, and group decision making. If you think we may be the right place for your team, click here or call us at 301-725-1313 and we will set up a constructive group development day. This entry was posted on Tuesday, January 6th, 2015 at 10:00 am. Both comments and pings are currently closed.